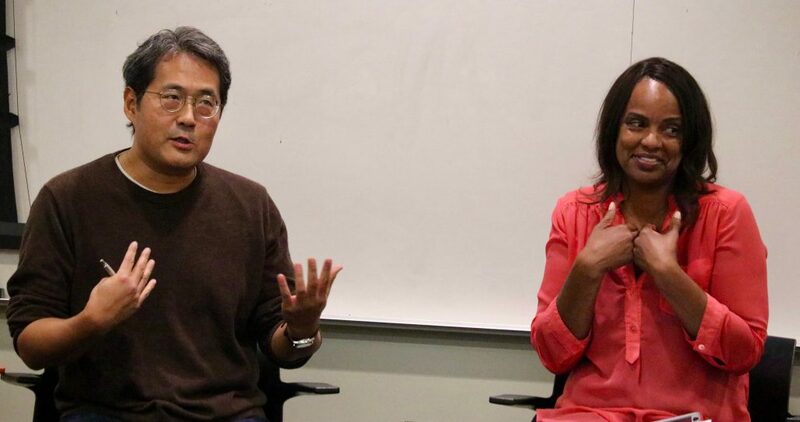 Just how complex the problem of homelessness is in Los Angeles — and how to combat it — was the focus of a daylong program that brought students from the UCLA Luskin School of Public Affairs together with community leaders and providers of homeless services from throughout the region on March 2, 2018, at Los Angeles City Hall. Homelessness in Los Angeles is a problem with a long history. It’s also a growing and complex issue, with no easy fix for the estimated 50,000-plus people living on streets of the city and throughout greater L.A. County. 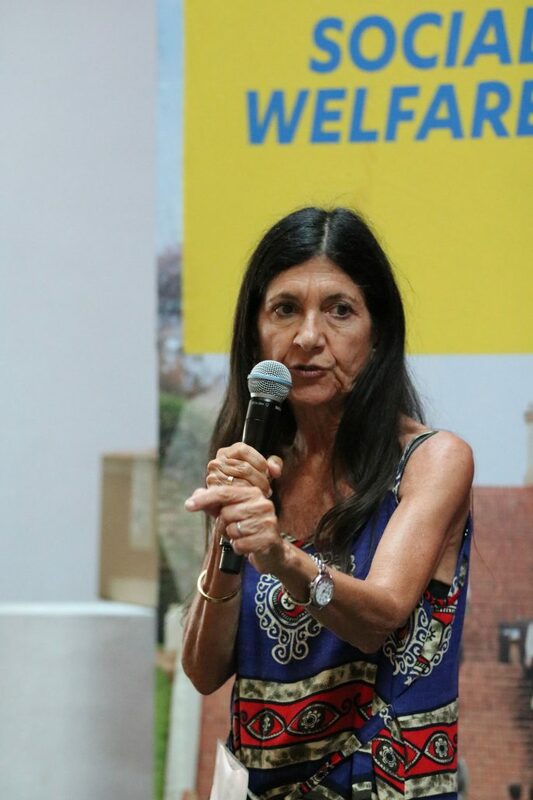 Specific goals for the annual event include connecting students with City Hall and county leaders, analyzing an important public and social policy issue, and participating in informed discussion and debate with impacted city staff and civic leaders, according to VC Powe, director of career services and leadership, who has directed the program since its founding. 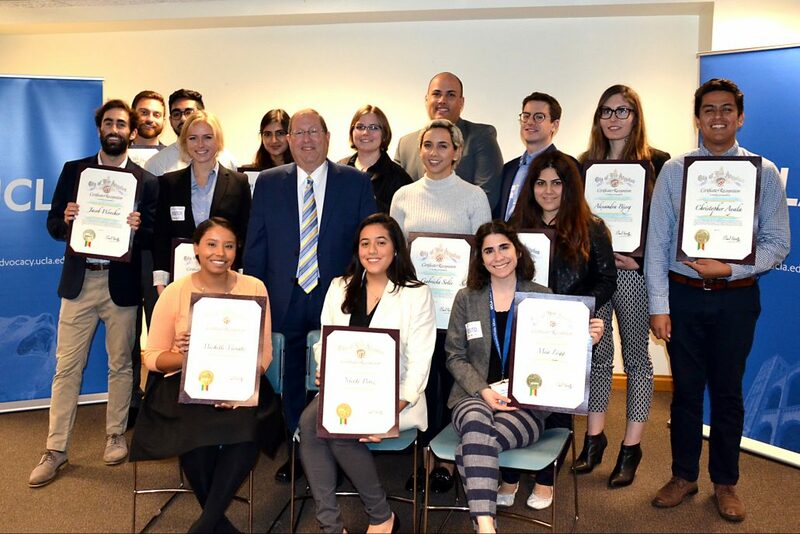 Hosting the students this year was Los Angeles City Councilmember Paul Koretz, who welcomed the students to City Hall and challenged them to research and come up with creative solutions to the question: What services can be provided today? 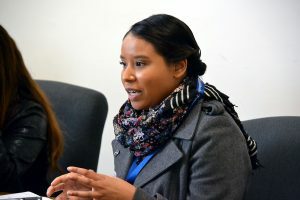 More than a dozen Luskin public policy, social welfare and urban planning graduate students worked together in teams to explore and brainstorm possible solutions for the thousands of people currently experiencing homelessness or at risk of becoming homeless. Each team met with and interviewed a wide range of leaders of city and county organizations and agencies focused on the problem. Interviewees ranged from homeless advocates and leaders of charitable organizations to a law enforcement officer and service providers for the homeless. 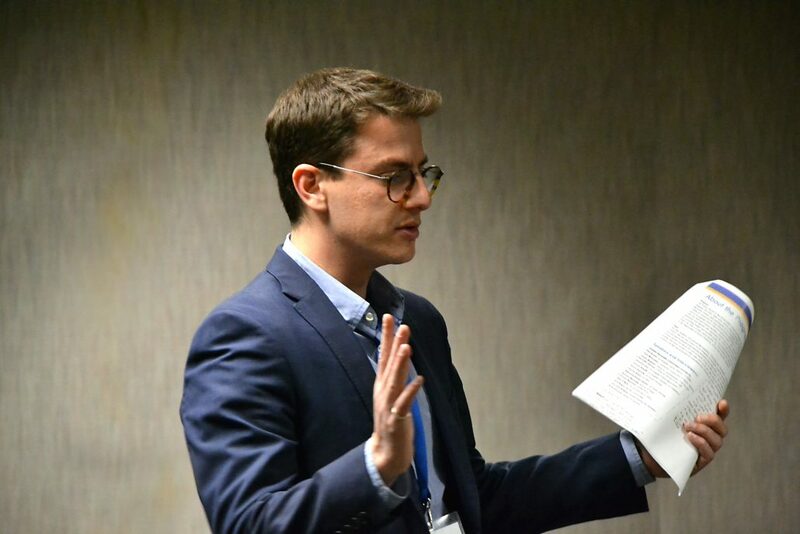 The students worked together throughout the day to provide Koretz, who represents the 5th Council District, with insights, ideas and policy solutions gathered from their interviews and discussions with program participants. 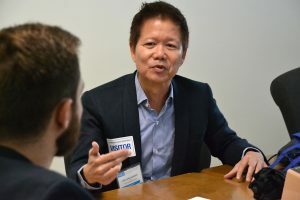 “I think students are finding out as they are talking to all these different stakeholders that there are some obstacles,” commented Toby Hur, UCLA Luskin Social Welfare field faculty member, who served as the students’ faculty adviser during the event at City Hall. “Building anything in L.A. is a complex process: It’s slow and with Measure H — the county sales tax increase — the money is just beginning to trickle down — finally,” Hur said. 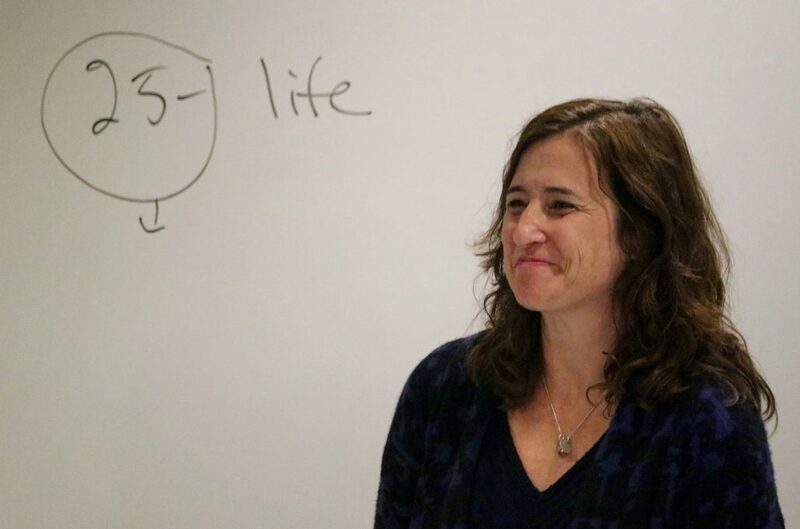 Just a few of the issues discussed across the School’s three professional programs were zoning and land use, social services, law enforcement, jobs and job readiness, child care, NIMBYism and political will. Viorato and her teammates, Ashley Mashian, a first-year urban planning student, and Jacob Woocher, a second-year urban planning student, met with Stephanie Klasky-Gamer, president and CEO of L.A. Family Housing; Jessica Duboff, vice president, Center for Business Advocacy, L.A. Chamber; and James Bickhart, a consultant with the office of Councilman Koretz. 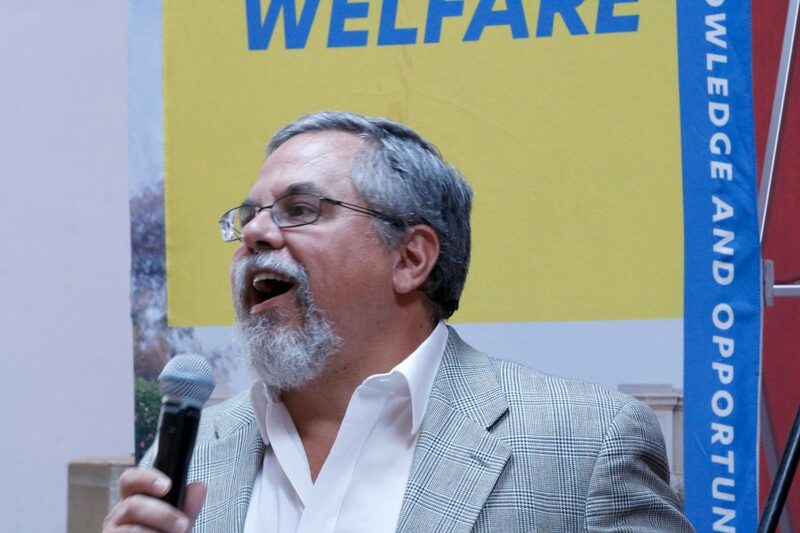 “I’m seeing a lot of people who are being evicted — or are one paycheck away — and I want to see what measures we can take as a community at Luskin to work with City Hall trying to prevent homelessness,” said Mashian, who was born and raised in Los Angeles. 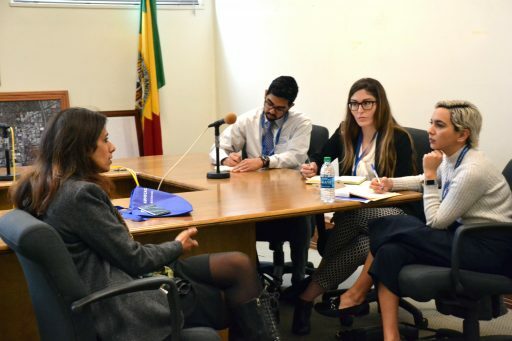 Gabriela Solis, a second-year public policy and social welfare student, said her team heard some great ideas during an interview with Gita O’Neill, who serves in a new city post: director of homeless policies and strategies in the office of the Los Angeles City Attorney. One of those ideas was to bring back a homeless court that was cut during the recession, said Solis, a native of East Los Angeles. “[O’Neill’s] main focus is on legal services, and I think she has a really interesting standpoint. 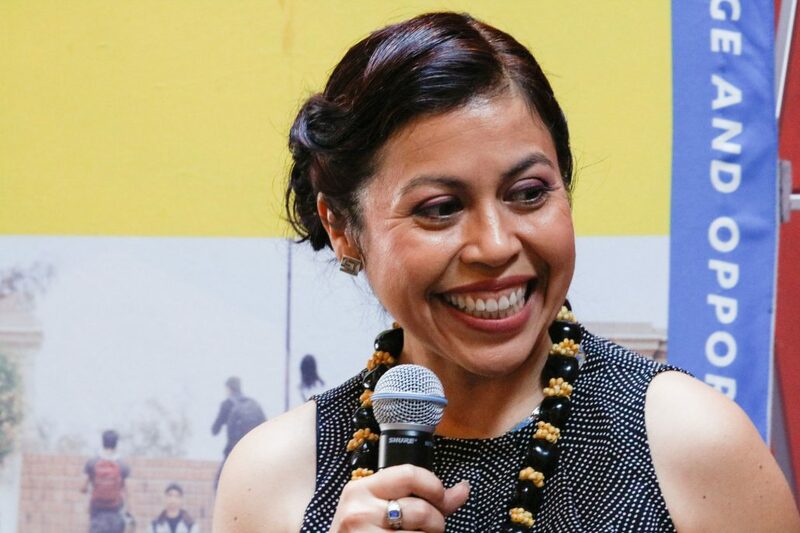 She is the first that the city has hired as a director of policy, something they don’t do historically,” Solis said. 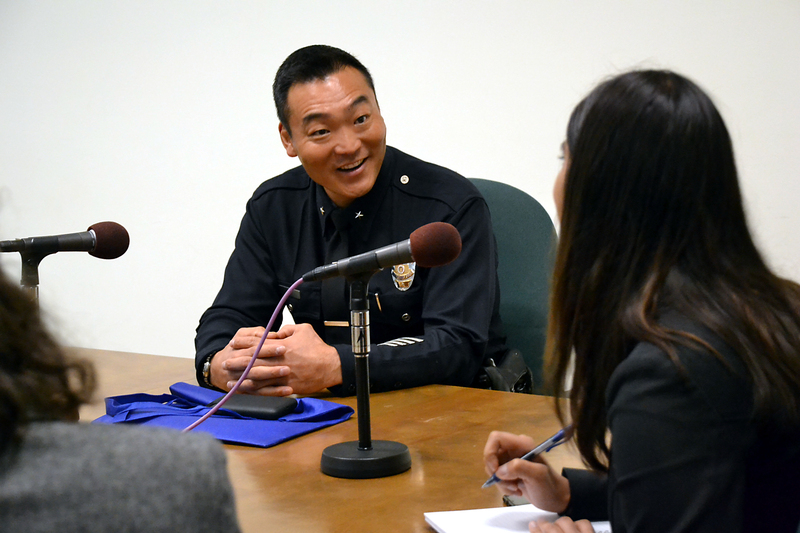 Her team also met with Dominic Choi, homeless coordinator for the Los Angeles Police Department. After a morning of interviews, the students reconvened with Councilmember Koretz to discuss their findings and policy recommendations. First-year MPP student Iman Nanji reported on her team’s meeting with Ruth Schwartz, co-founder and executive director of Shelter Partnership. Christopher Ayala, a second-year social welfare student, grew up in South Los Angeles and has had experience working with young people experiencing homelessness. 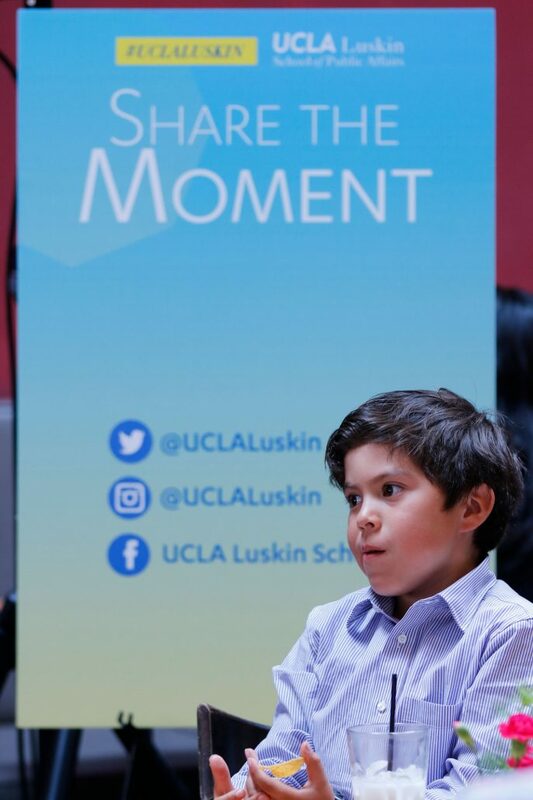 As part of Luskin Day at Los Angeles City Hall, the students will submit to Koretz a written policy memorandum summarizing their findings and policy recommendations. “UCLA is a huge asset to the community and all of you, its students,” Koretz said as he presented certificates to the students at the conclusion of the day. 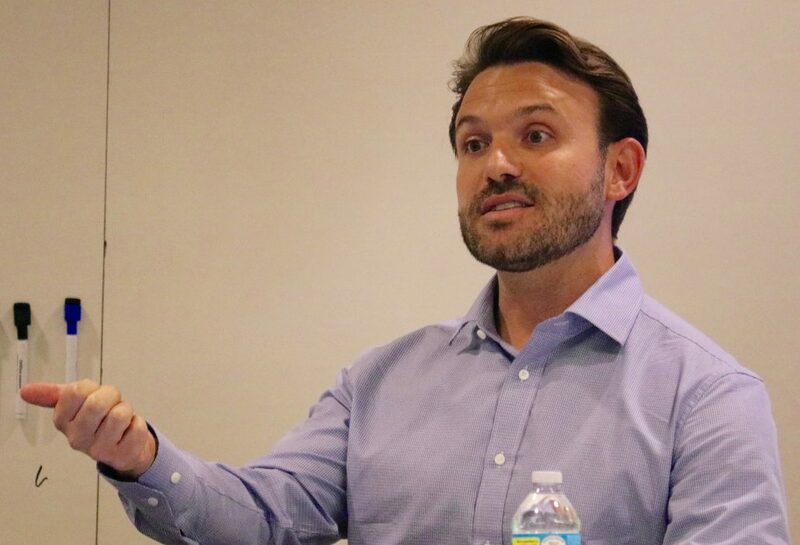 “So we hope this will help you move toward becoming civic leaders of the future,” he said. Hur noted that the students’ task is far from over. 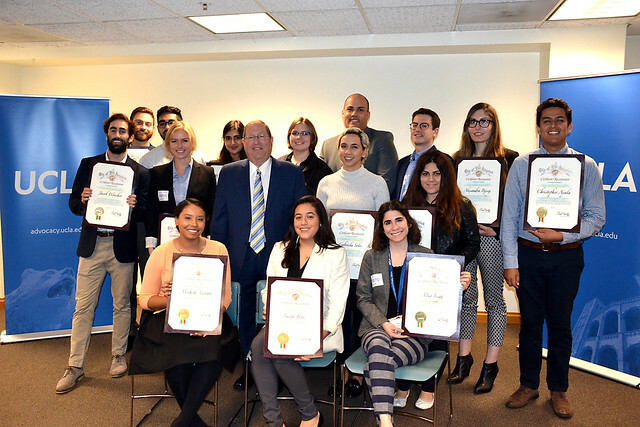 UCLA Luskin Day at Los Angeles City Hall is now in its 14th year and serves to promote and encourage careers in politics and public service, as well as engage UCLA with local government, Powe said. The program is co-sponsored by UCLA’s Office of Community and Government Relations. 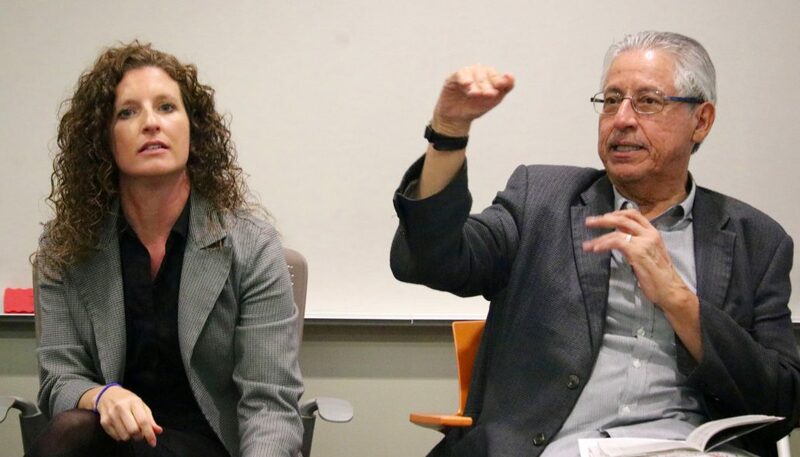 Read the transcript of an interview with Koretz conducted by UCLA Advocacy during UCLA Luskin Day at City Hall. 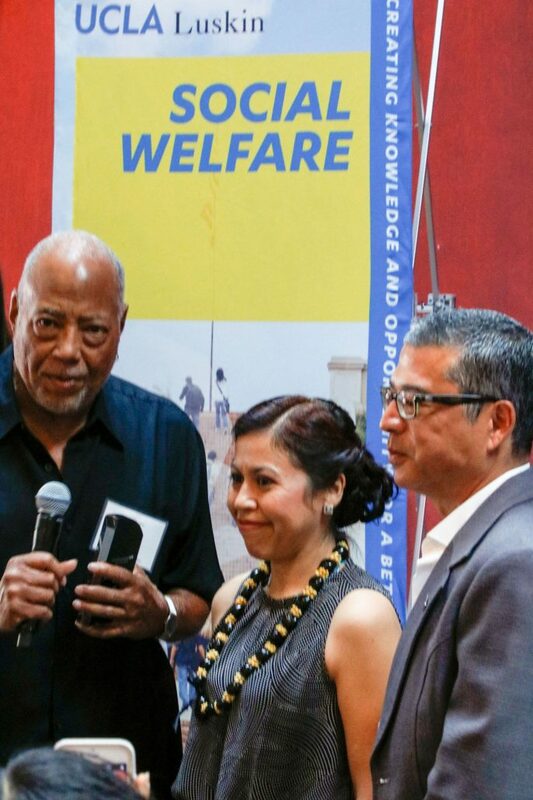 Aurea Montes-Rodriguez, this year’s Social Welfare Alumna of the Year, has a lifelong personal and professional connection to South Los Angeles. 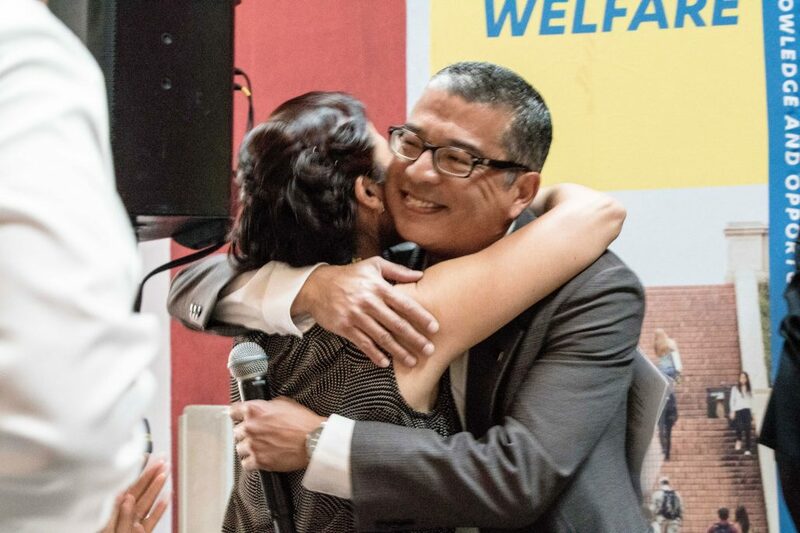 The 1999 Master of Social Welfare graduate of the UCLA Luskin School of Public Affairs came to California from Mexico at the age of 3, grew up in South Los Angeles, witnessed firsthand the 1992 riots, and has gone on to be a leader and change agent in the community. In recognition of her work and commitment to the community, Montes-Rodriguez was presented the Joseph A. Nunn Alumna of the Year Award on May 20, 2017. 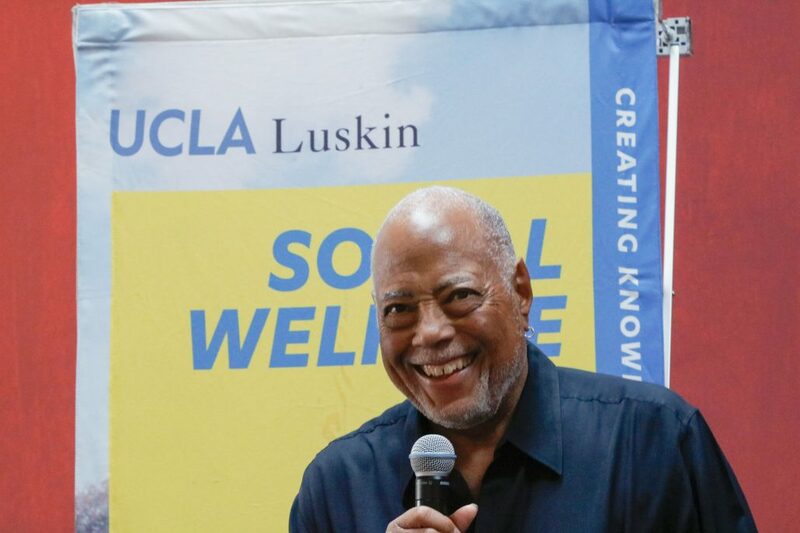 The award is bestowed annually in honor of Joseph A. Nunn, UCLA alumnus, former vice chair and longtime director of field education for the UCLA Department of Social Welfare. 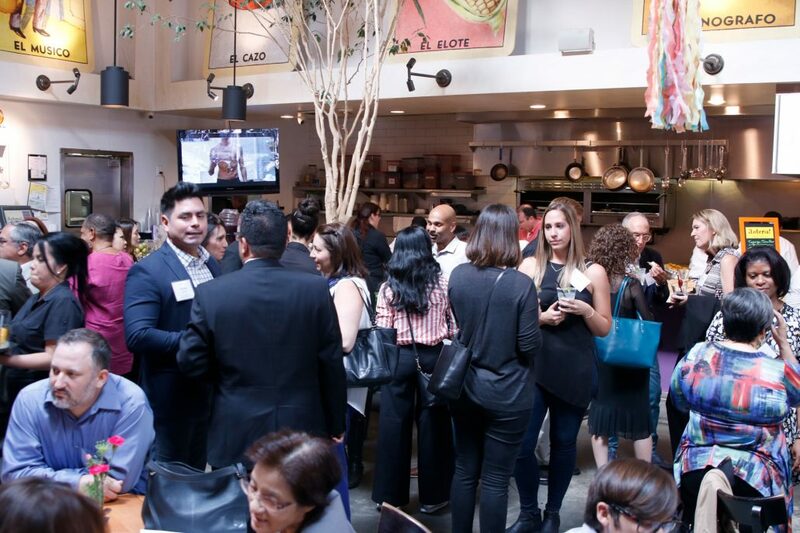 Montes-Rodriguez, who now serves as executive vice president of organizational growth at Community Coalition, a social justice nonprofit based in South Los Angeles, was honored at a social welfare alumni gathering in Los Angeles. 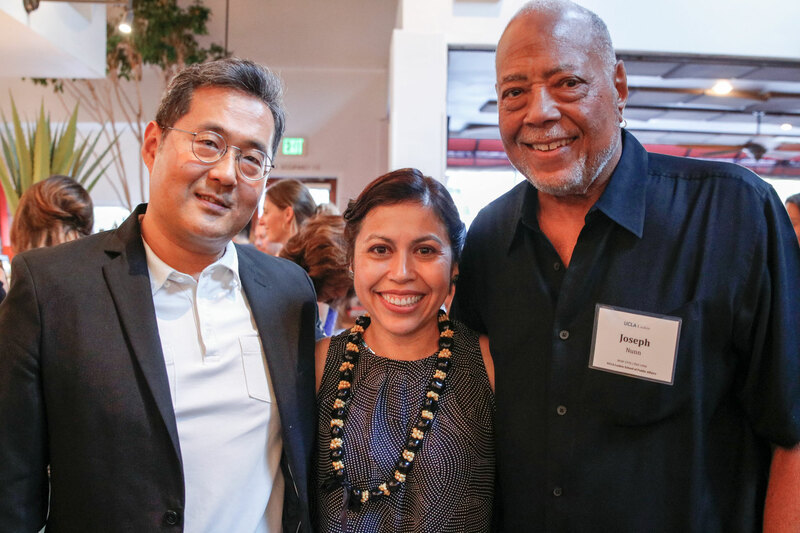 Toby Hur MSW ’93, a longtime member of the social welfare field faculty, nominated Montes-Rodriguez and shares some history with her. Hur said that, as a graduate student during that time, he became very involved in those efforts. 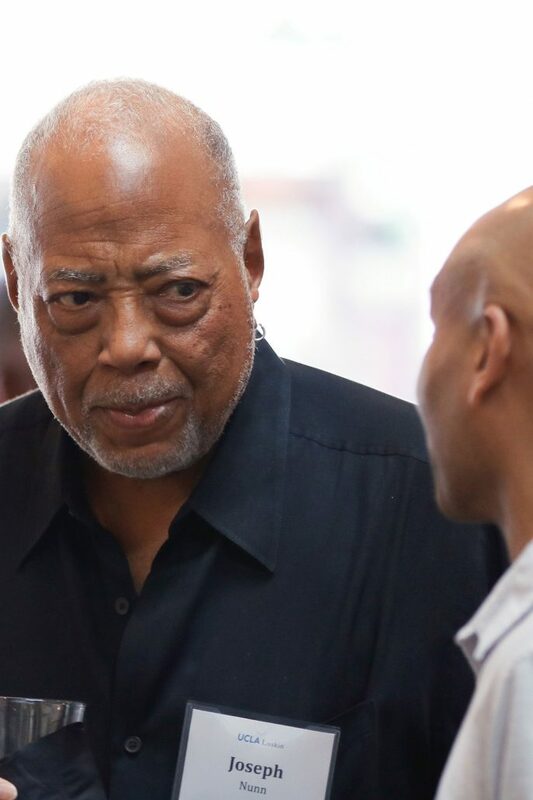 The experience has deeply impacted his professional career and teaching in the ensuing years. 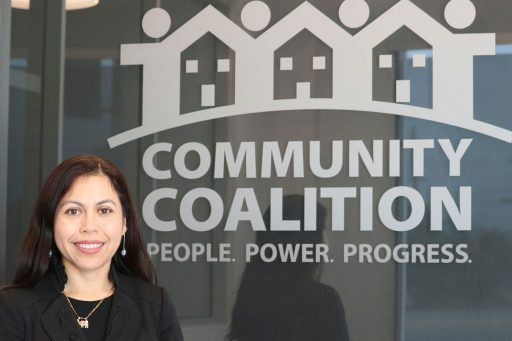 Since joining Community Coalition, Montes-Rodriguez has made significant strides in helping the organization grow and she has led efforts to raise funds to purchase and renovate its current headquarters in South L.A. “To be nominated by someone who understands the importance of building multiracial coalitions is really special,” she said of Hur. 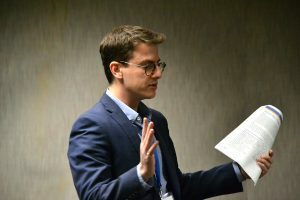 “Since I graduated, that’s exactly the work I have been doing … organizing everyday people about having a voice in addressing the most-pressing issues so they can be the drivers of change,” Montes-Rodriguez said. Another of Montes-Rodriguez’s mentors is Gerry Laviña, director of field education at the Department of Social Welfare.